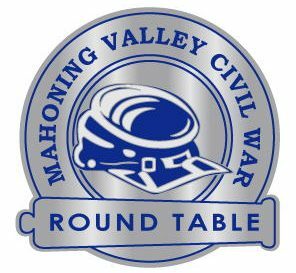 We'll be hearing about Civil War tactics during this month's meeting, and the newsletter has highlights from our autumn trip to Gettysburg! Come hear about the U.S. Sanitary Commission at our monthly meeting. Don't forget to read our newsletter; October's updates include auction information, recommended books, and a history of the Atwell Brothers. Join us for a presentation on Civil War art at this month's meeting, and be sure to check out our newsletter for articles about uniforms, our fall tours, and upcoming presentations. Have a great summer and enjoy some battlefielding! This month we'll hear about the fight for Burnside's Bridge at Antietam during the presentation at our meeting. Check-out the newsletter for stories about Civil War ancestors, details about our raffle and Fourth of July event, and the Wilderness Battlefield tour! Come to our meeting and learn about what it was like backstage at Ford Theater on the night President Lincoln was assassinated at our meeting this month. And don't forget to read through our monthly newsletter, featuring information about our raffle, Civil War nurses, ancestors, and book reviews.